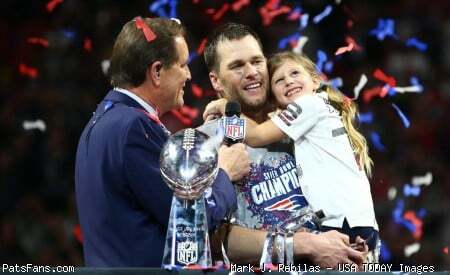 Discussion in 'Patriots Draft Talk' started by manxman2601, Apr 10, 2019. Many of thought they'd go in a different direction, but I know at least three or four of us had Wynn as the highest rated OL and Michel in our top two RBs (or at least top two after Barkley, who obviously was never an option for us). OT was always a possibility given the loss of Solder, but a RB in the first round?????? Given the success BB has had with lower round RB's, getting one in the first wasn't much of thought, though drafting a RB later would have been expected that season. That's true. I thought we would take someone in the mid rounds, but I was very happy when we took my favorite RB. I guess with a 5th year option, it's a cheap way to get a guaranteed starter at the position. I was still shocked when they announced the pick. The rumor was that they would use #8 for Hock if they needed to do so. He’s also been a pleasant surprise during interviews on recent visits with teams across the league. Coaches and general managers have taken notice of Harry’s aptitude during white-board sessions. His ability to diagnose plays that have been diagrammed on boards and the feedback he’s had on what’s expected to take place in those plays has impressed. I like Harry, but I see Jalen Hurd as a potentially equal player who will fall an extra round because he is a converted RB. Given the unlikelihood that a rookie WR steps in and plays heavy snaps as a rookie, I wonder if a Hurd is more short-term valuable as a Patterson replacement than Harry would be. I don't think they are all that close personally. Harry I'd take at 32 without another thought. Hurd maybe at 134. That's the fun of the draft, isn't it? No consensus, and we're more likely to both be wrong than to get something right. Doesn't stop us from hope, though. I have a feeling that most Pats fans will come away fuming at the emphasis on OL and LB. Oh, man. I would love to add some athletic enforcers to continue the transformation of this bully club. Everything I've heard seems to indicate that it's fairly minor. He's been cleared by two universities, he was able to participate at the Combine (and excel), and he was cleared in his medical recheck. I don't think he makes it out of the top 15. But if he somehow does fall, then I'd be extremely intrigued. I suspect he’s worried he’s going to slide. Steelers all in on Devin Bush? Medicals have never scared BB possibility for Pats. I would be worried if 30 something teams had passed on him though including ones that had probably paid more attention to his medical. Oliver did not have the production I would have expected. Teams trying to catch Aaron Donald in a bottle part 2, need to be careful with this guy.